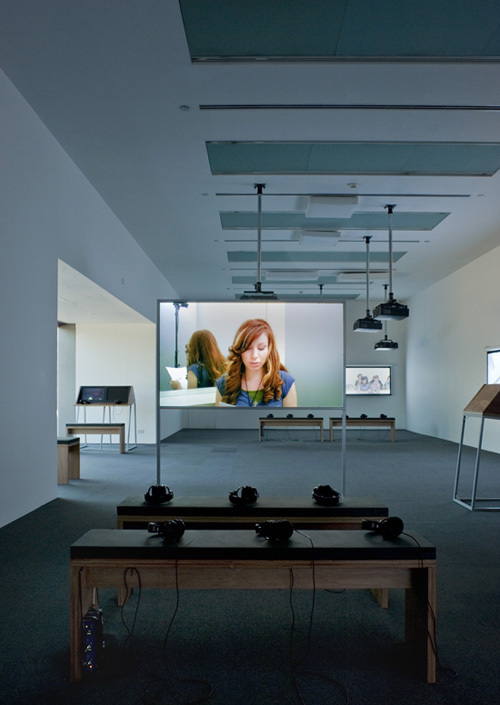 9 Scripts from a Nation at War is a multi-channel video installation that responds to conditions and questions that have arisen since March 2003, taking the U.S. context as an initial point of view. While 2003 marks the beginning of the invasion of Iraq by U.S. military forces, it is a conflict reaches backwards and forwards in history and memory, as a “long war” that has few, if any, boundaries. This work is structured around a central question: How does war construct specific positions for individuals to fill, enact, speak from, or resist? 9 Scripts from a Nation at War considers the processes by which we are positioned as certain kinds of “individuals” in relation to war — artists, soldiers, students, prisoners, detainees, citizens, Iraqis, Europeans, Americans, and so on. A student or a detainee or a journalist is formed not only in relation to political and ideological conditions, but also by the agency of the individuals themselves, always struggling in response to how they are positioned. In its primary incarnation, 9 Scripts from a Nation at War is presented as a constellation of videos, across monitors and projections, where each video stages the speaking of a script. The figures who speak — a veteran, a student, a citizen, an actor, a blogger, a lawyer, a journalist, an interviewer, a source, a detainee — are performed by actors and non-actors, some re-speaking their own words, others learning the words of others. These stagings allow inquiry into the recording, reporting, learning, and understanding of the present moment, and to reflect upon how we account for ourselves within it. 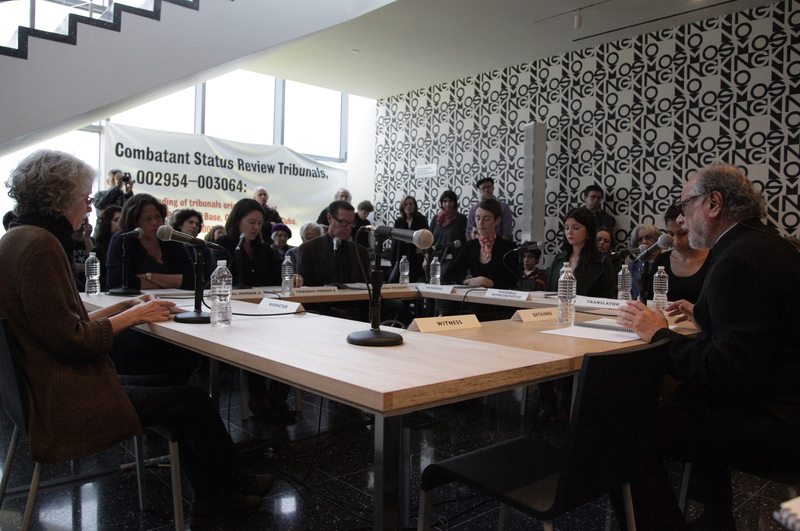 9 Scripts from a Nation at War was originally produced as a commission for documenta 12 (2007); it has since been exhibited at the Tate Modern, the Gallery at REDCAT, and the Museum of Modern Art, where it is in their permanent collection.